Acer is one of the busiest OEMs when it comes to Chrome OS hardware, although recent efforts have been mixed. The Chromebook Spin 11 didn't offer the best value, but the Chromebox CXI3 impressed as one of the best in its class. 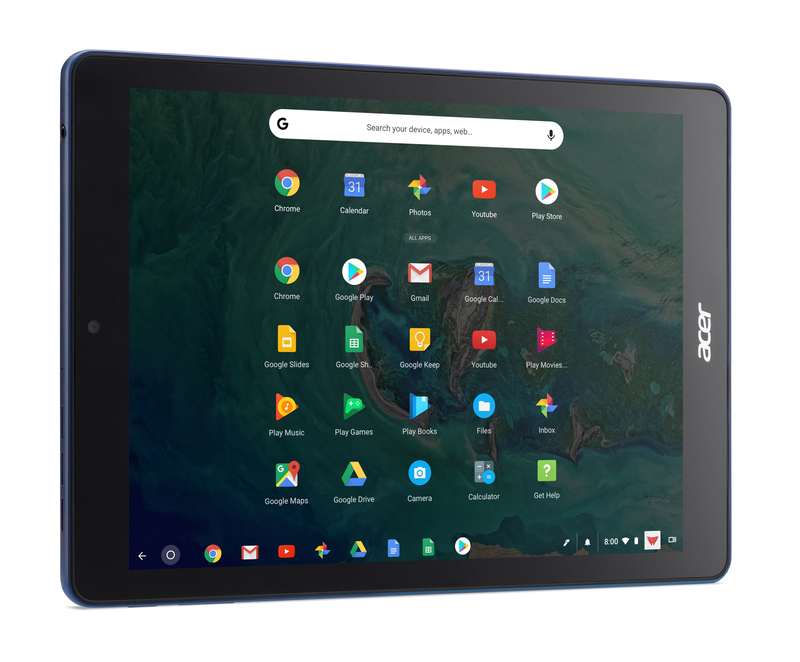 Unsurprisingly, Acer was first to announce a tablet running Chrome OS, and now the Chromebook Tab 10 is on sale at several retailers. Except for brief availability at CDW for $10 more than the MSRP of $329.99, the education-focused Chromebook Tab 10 has been listed as unavailable or out of stock everywhere else. Acer's site now also lists Connection ($337.48), Insight ($353.99), and Amazon ($347.81, no Prime) as stockists for the tablet, albeit with wildly varying price points. The best price we've found, however, comes from Newegg, which is actually selling the tablet for Acer's recommended price of $329.99. Even with the $2.99 shipping cost, it's still the lowest at $333. That money gets you a 9.7" 2048x1536 IPS LCD display, a Rockchip RK3399 dual-core processor, 4GB of RAM, and 32GB of storage. Since it's intended for schools, don't expect performance to be stellar, but if you're looking for a cheap tablet and you've had enough of Android models, this could be worth a go. As pointed out by Andrew in the comments, the Acer Chromebook Tab 10 is also available in the UK from several retailers. The current best price seems to be £286 at the BT Shop. Acer has reached out to clarify that even though the Chromebook Tab 10 is available for purchase online, its intended audience is exclusively "K:12 schools that have standardized on Chrome and are looking for an easy-to-use, durable and portable device that can be easily used managed in conjunction with their existing Chrome OS products." So while anyone can buy it, Acer wants to make it clear that it's really just for the education market.